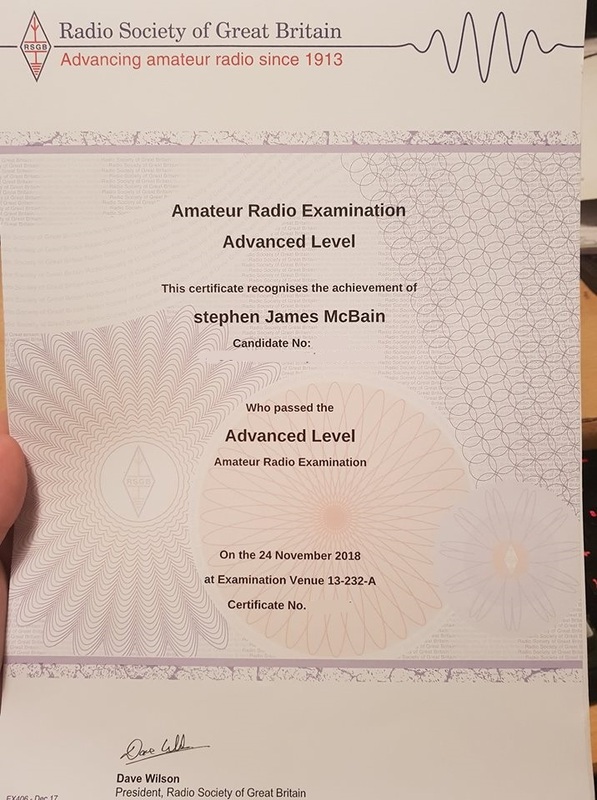 As some of you may know, on Saturday the 24th of November I passed my Advanced licence exam at the Lincoln Shortwave Club. Meaning I could now apply for my Full Licence. Once it went live on the Ofcom website I tried using the online service to claim my new call sign. Unfortunately nearly all of the ‘3 letter’ endings I wanted were already taken. So with this being the last call sign I will probably get, I wanted it to be one that I really wanted. Because of this I have filled in the paper form in the hope that I can get an M5 with the letters that I want. This form was sent off and 5 days later I got an email saying that my new call sign of M5SJM had been issued to myself ready for use.